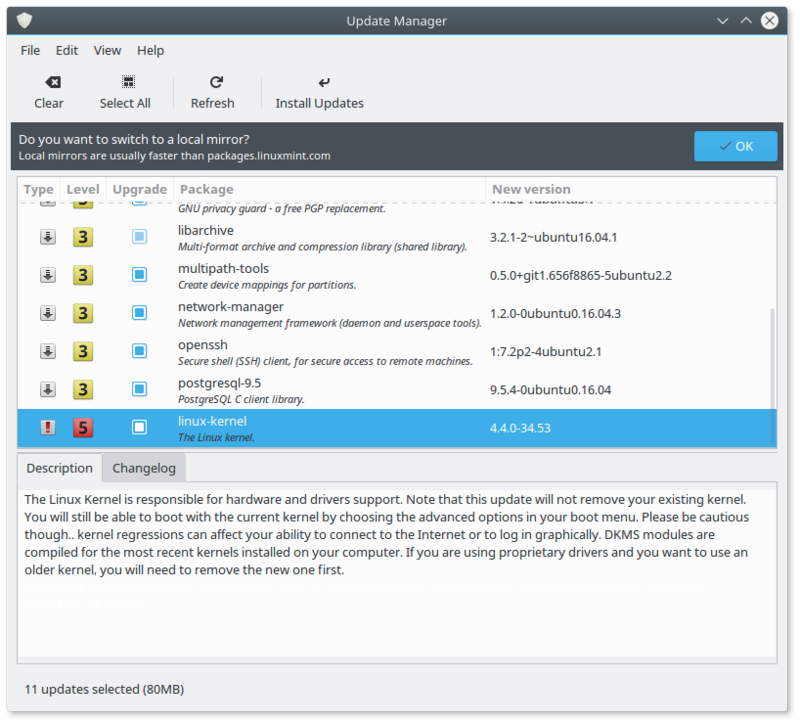 The default display manager is SDDM. 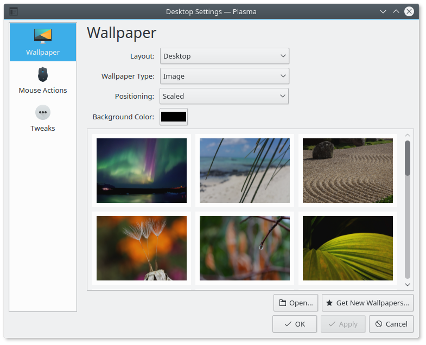 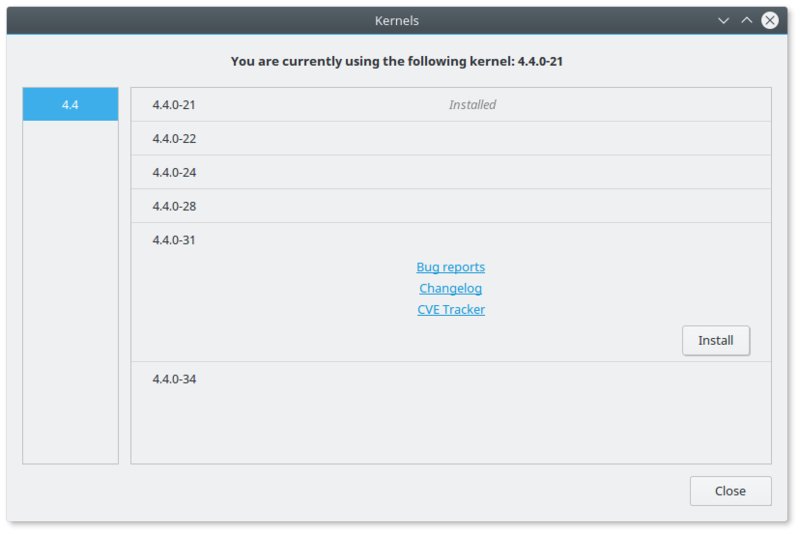 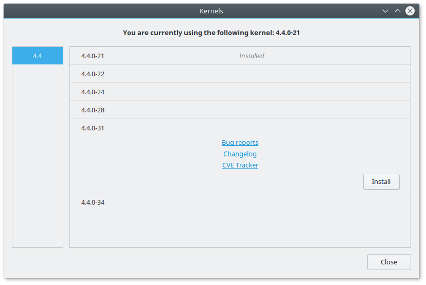 The APT sources include the Kubuntu Backports PPA, which provides updates to newer versions of the Plasma desktop. 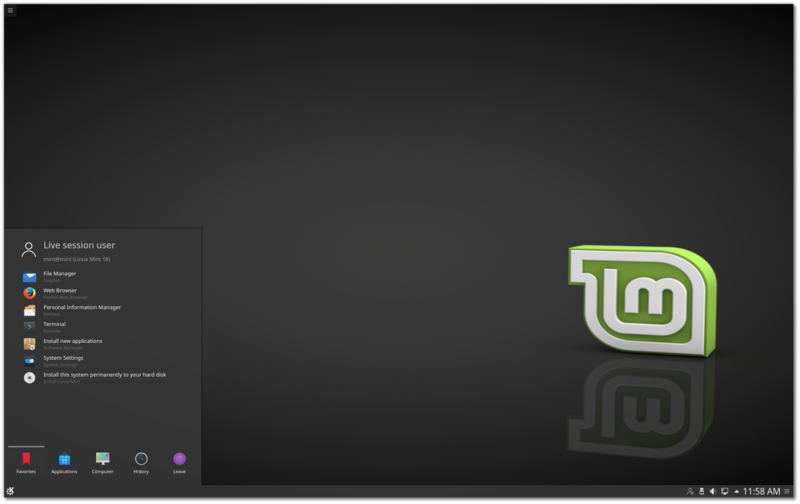 HiDPI support is largely improved in Linux Mint 18. 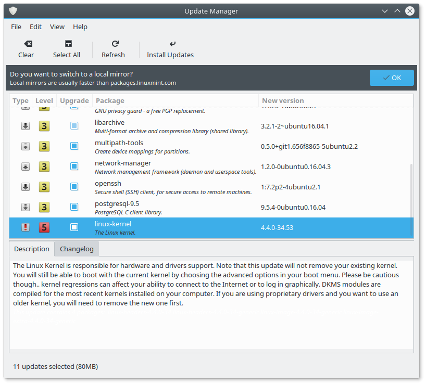 Firefox and most of the Mint apps (mintdesktop, mintsystem, mintwelcome, mintlocale, mintdrivers, mintnanny, mintstick, mint-common, mintupdate, mintbackup and mintupload) migrated to GTK3. 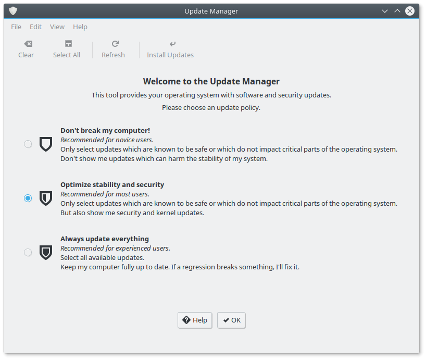 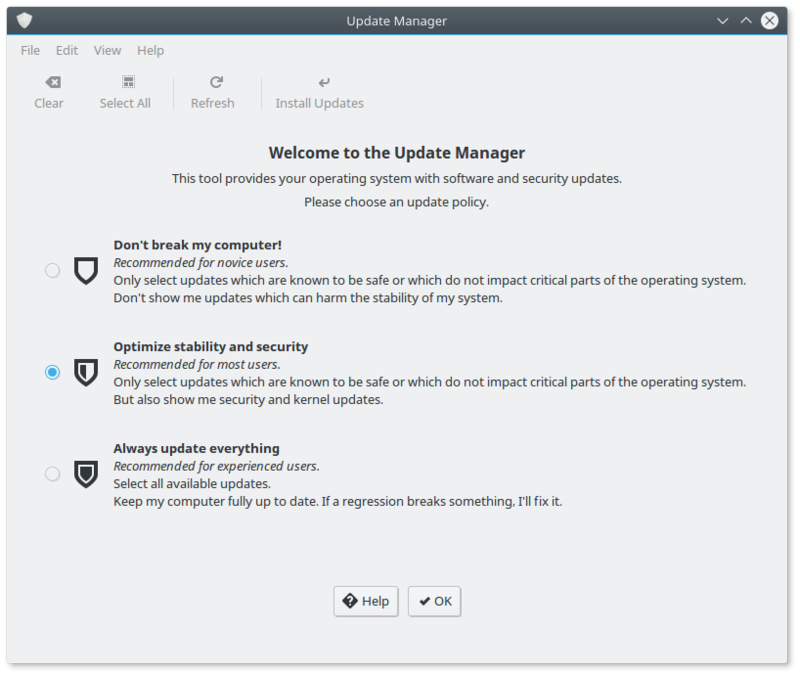 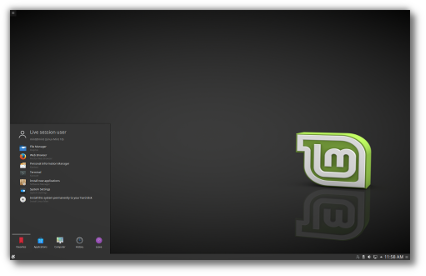 Linux Mint 18 features SDDM, KDE Plasma 5.6, a Linux kernel 4.4 and an Ubuntu 16.04 package base.